John Valines, Production Manager / Technical Director. Contact Info: 407-648-0001 x3501, [email protected] John joined SAK as an improvising technician in 1994. Soon after, he became the Technical Director and finally their Production Manager. John has been an improv teacher, writer and a director for SAK and even served as a Vice-President for some time. He is currently one of the company’s shareholders. In 2001, he left SAK for a while to join the theatrical a cappella group Toxic Audio as their 6th member and "Sound Guy". Toxic Audio landed an off-Broadway show that won the Drama Desk Award for “Unique Theatrical Production,” an award previously won by Blue Man Group and Cirque du Soleil. 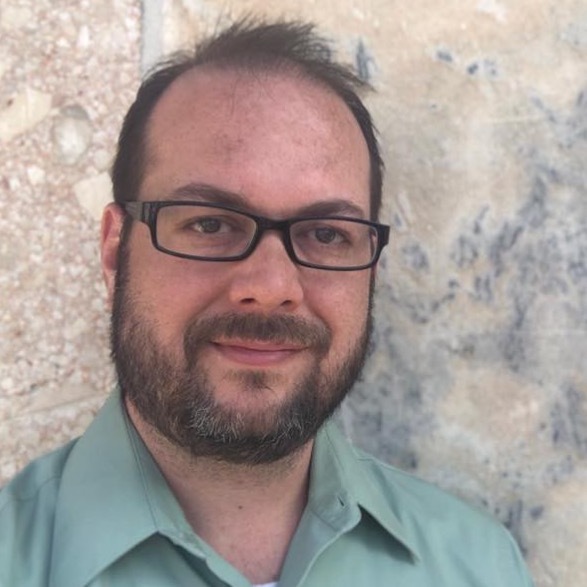 John is known for his work as a Sound Designer for companies such as The Orlando Rep, Lake Highland Prep, Mad Cow, Beth Marshall Presents, Florida Studio Theatre and more. His directing credits include Todd Kimbro’s DeCaffeinated, Failure an Epic Adventure, SAK's Equus: On Ice, and the award-winning Farrago, which he co-wrote and won the award for “Most Original Work.” Recently John’s work, with writing partner Tod Kimbro, on SAK’s live theatrical sitcom, Better Days, won him and SAK critical praise in the Orlando Sentinel, the Orlando Weekly and on greatdates.com. John also directed every episode of Better Days. John’s greatest achievement however is his daughter, Gates. She’s much funnier than he is.